Most plants benefit from regular, annual pruning. It may seem like tough love, but pruning keeps them healthy and encourages fresh, new growth and renewal. While annual pruning is good for plants, the trick is in knowing when to prune which plants. Plants tend to fall into one of three categories, for pruning. A great many flowering and fruiting plants prefer to be pruned while they are dormant, in late winter through early spring. However, there are some, like spring blooming trees and shrubs, that will start setting new buds as soon as the old flowers have fallen. These will need to be pruned shortly after flowering, or you risk pruning off the new buds with the old. And then there are other plants that need to be continually pruned and deadheaded, to remain vigorous and in flower. Perhaps the most confusing group of plants, when it comes to pruning times, is flowering trees and shrubs. A general rule of thumb is to prune summer and fall flowering trees and shrubs in the dormant season, which is late winter / early spring, and to prune spring flowering trees and shrubs soon after their flowers fade., in late spring / early summer. When to Prune Spring-Flowering Trees & Shrubs - Most of the commonly grown flowering trees and shrubs are listed here. After a couple of years pruning, you will get into a rhythm. When to Prune Which Clematis - Clematis fall into one of threes pruning categories. You will need to pay attention to when your vine blooms, to determine which one it is in. When to Prune Hydrangeas - These rules mostly apply to old-fashioned hydrangeas. Newer varieties will bloom on both new and old wood. However, pruning is necessary for renewal. How and When to Prune Your Rose Bushes - It's not as hard as you've been led to believe. When Your Home Orchard Stops Bearing Fruit - If you haven't been pruning regularly, you may need to do some renewal pruning. Pruning an Over-grown Apple Tree - Yes, there is hope for that old apple tree you inherited. Pruning Peach Trees - An exception to dormant pruning. How to Prune Raspberries and Blackberries - Taming these rampant growers. Perhaps the most labor-intensive plants to prune are the non-woody perennials. The notion that you can plant perennials once and then have a maintenance-free garden forever is an incorrect notion. Most perennial plants, especially the flowering ones, not only need to be cut back entirely at some point before or after the growing season, they need regular pruning, shearing or deadheading. Perennial Plants to Prune in the Spring - There are only a few perennials that benefit from being left standing so they can self-mulch over the winter. 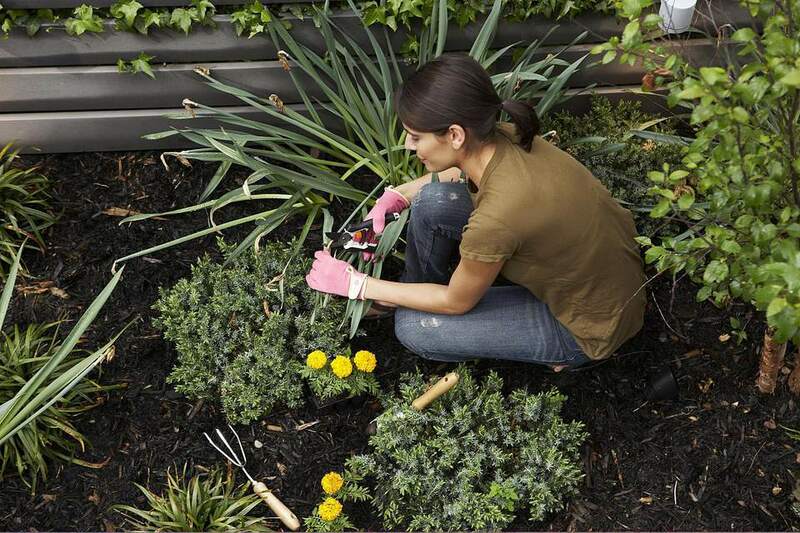 Perennial Plants to Prune in the Fall - Most perennial plants can be pruned in the fall. But if time gets away from you, spring pruning won't do any damage. Pinching, Pruning, and Deadheading - Some gerneral tips for year round perennial pruning and maintenance.